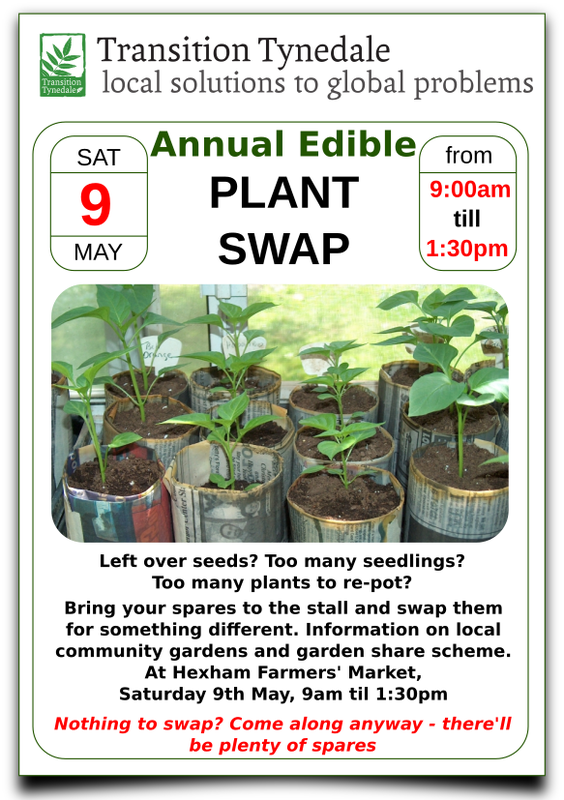 We are holding our annual seed and seedling swop stall as part of the Hexham Spring Festival on May 9th. This is your chance to swop your unwanted or surplus seeds and seedlings for others – maybe to try a new variety or replace those eaten by slugs ! Bring them to the stall and swop or give a donation. All plants, however small, will be welcome so please grow a few extra for us. Ornamentals as well as edible plants also welcome.We are also looking for volunteers to help man the stall – for details please email sue at suehick3@gmail.com Our aim is to encourage local food production however small – getting a few free plants from the stall is a great way of getting started ! Edible Hexham participated in Waitrose’s ‘green token’ scheme in August and as a result we will receive a cheque of £277 from Waitrose. 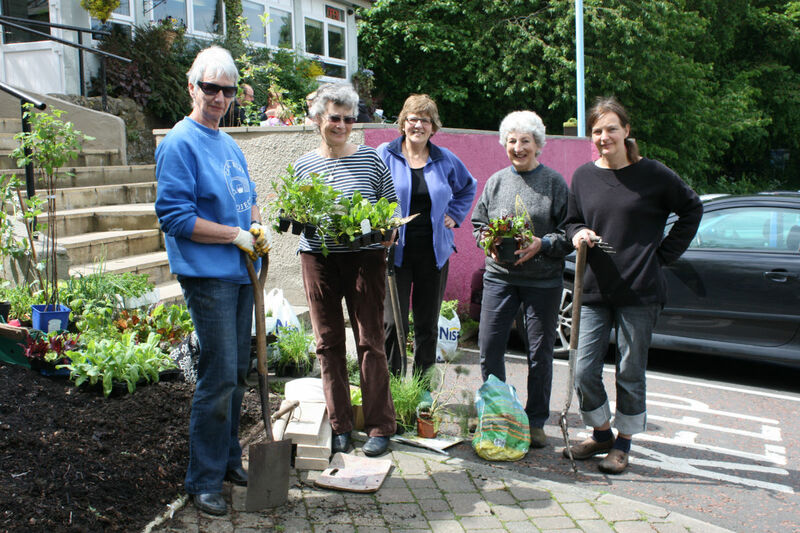 This is great news, as we were in need of additional funding to purchase fruit trees and bushes to plant either this autumn or next spring at various sites around the town. Do you have a public area you think would suit a fruit tree ? We have some areas in mind but all suggestions are welcome. In the meantime, keep picking and enjoying the produce at Wentworth, outside Prospect House, and at the Middle School garden! The Wentworth beds will be (mostly) cleared later this month (October ), so we can improve the soil over winter, ready to plant new crops in the spring. Do you shop at Waitrose ? If you do then you know that every month Waitrose share 1,000 pounds between 3 local charities / projects. Every shopper is given a green token to vote for their choice and the money is shared out proportionally at the end of the month. 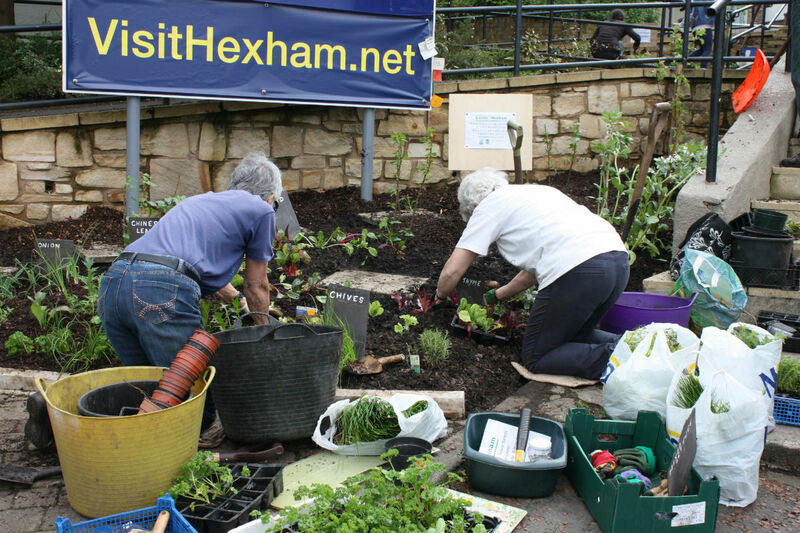 So – please vote for the Edible Hexham project with your green counter at the exit – the more votes we have the more money we get! Tell all your friends and family too ! We have had lots of positive feedback and favourable comments on the existing beds. We want to help spread the transition message through home produced food and money from Waitrose will help towards plants and planters for next year .